Reed Elman, the vice chair of Program Board, said the referendum about the Program Board fee could help the group put on better concerts and activities. When students cast ballots in elections this week, they will also vote on everything from raising the semester credit cap to allowing freshman Student Association senators to vote on bills. Five referendums will be on the ballot this year, three from the SA and two from Program Board – which is placing questions to the student body for the first time this year after student election reforms passed last year to allow the organization to create its own referendums. Program Board is placing a pair of policy proposals to the student body next week. The three proposals that originated in the SA – which were approved earlier this month by the senate – will allow students to vote on promoting the SA’s director of sustainability position, permitting freshman and first-year graduate senators to vote during their second semester and supporting a free 18th credit for all degree-seeking students at GW. Students will be asked whether they support a free 18th credit per semester for all students – an issue that has become increasingly relevant in student government over the past few years. Currently, only students in the School of Engineering and Applied Sciences, the University Honors Program and those taking required freshman University Writing courses are allowed to take an 18th credit at no extra charge. 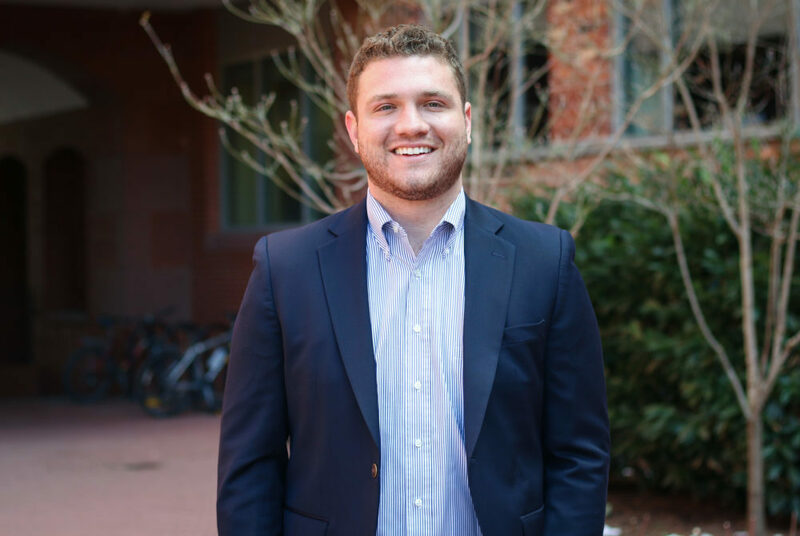 Sen. Will Raderman, U-at-Large, who sponsored the bill to place the 18th credit question on the ballot, said GW is behind its peer schools, all of which offer at least 18 credits per semester without an additional fee. The push for an additional credit was a feature of Lande Watson’s SA presidential campaign last year and has been taken up again this semester by Brady Forrest and Ojani Walthrust in their executive vice presidential campaigns and Ashley Le’s bid for SA president. The referendum won’t determine whether the University changes its policy, but student leaders say it will show administrators the level of student support for this initiative. The director of sustainability now manages the SA’s environmental efforts, but that role depends entirely on the willingness of the SA president to create the post each year. Students will now be asked to vote on whether the position should be promoted to a vice president of sustainability, a move that would make the post a permanent part of the SA president’s staff and allow the senate to approve all nominees. Forrest, who currently serves as senate pro-tempore, said by elevating the role to a cabinet-level position, the SA will show the student body its dedication to sustainability. “I think that having a stable, constant position on a macro level just shows our commitment to sustainability on a macro-level that we value sustainability, just like we value academics, our finances, diversity inclusion,” Forrest said. Another referendum to be placed in front of students is a proposal to allow freshman and first-year senators to vote on bills and resolutions in their second semesters at GW. Executive Vice President Sydney Nelson said the referendum is a reflection of the dedication many first-time senators have shown toward the SA. Those senators currently aren’t allowed to vote, but can introduce legislation and participate in committee meetings. Program Board will ask students whether they support the implementation of a $1 per credit hour fee to fund events like concerts, speakers and activities, to be rolled in gradually beginning with the Class of 2022. Money from the fund would be distributed in quarters – with 25 percent going toward the SA student organization fund, 25 percent directed to Class Council to support events and 50 percent going to Program Board to fund concerts and community events. For a student taking 15 credits both semesters, the fee would be $30 annually. “The fee will help Program Board put on better concerts and activities, allow the SA to give more money to student organizations for events and help Class Council expand and improve their community-focused programming,” Reed Elman, the executive vice chair of Program Board, said in an email. The last referendum asks students whether they would want to limit the amount of activities that Program Board organizes, allowing them to focus on attracting high-profile performers and developing larger events. Elman said student input could help resolve the long-standing internal tension within Program Board of whether the quality or quantity of the events should be prioritized. “Should we do both Fall Fest and Spring Fling every year, or should we cut back to improve one or the other? Should we continue to host many small-scale events throughout the semester, or focus on more large events like the GW Gala? We hope this referendum will help us answer those questions,” he said.